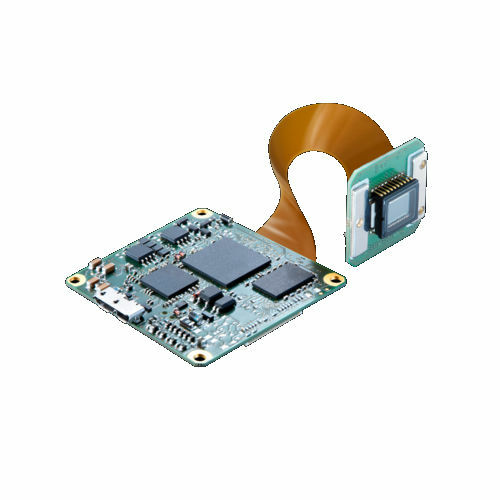 MX series: flexible board level cameras. Based on the VisiLine® platform, cameras of the MX series are particularly developed for use in embedded systems. The remote sensor circuit board is connected to the system circuit board via flexprint to make the board level cameras fit in almost any installation space. USB 3.0 camera models provide you with simple Plug & Play functionality and a single-cable solution. GigE cameras master a transmission distance up to 100 meter cable length and support PoE.